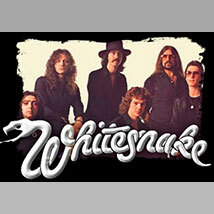 British rock group Whitesnake is headed to the 7 Clans First Council Casino in Newkirk for an action-packed live show. The band has long been successful worldwide with major U.S. hits like “Here I Go Again” and “Is This Love.” The group is highly acclaimed for recorded work but they’re most well known for incredible live shows. Grab a seat and watch Whitesnake perform live as their Flesh & Blood World Tour stops in Newkirk.